If your organization has never been through an unclaimed property audit, the chances that it will be are greater now as a result of the states facing unprecedented budget shortfalls and becoming more diligent and consistent in their enforcement of unclaimed property regulations. In today’s world, the states have more to gain by conducting new abandoned property audits than they do in conducting follow-up reviews. It doesn’t matter if you have been through an escheat audit before. Even if one or more states have already audited your company, that does not preclude additional states from following suit and filing their own unclaimed property audits. This means that unclaimed property audit defense measures are more important than ever. While the amount of unclaimed property you have failed to report may be relatively small, when you factor in interest, penalties and estimated liability for historical years, your organization could be on the hook for much more than you might initially suspect, as much as 15 to 20 times the original amount.  Currently facing an Unclaimed Property Audit? Contact Us Now or call 888-876-7635 for assistance. With an extraordinarily high level of audits occurring, it’s important you have the correct unclaimed property audit defense processes in place. Keane’s unclaimed property specialists have extensive state, industry, and Big 4 expertise and experience with escheat audits conducted by states or third-party auditors. We understand audit compliance procedures and provide a strategic approach in order to maximize results and minimize costs. Whether your company is facing an audit by one state or 20, Keane can help your organization take a more strategic, proactive approach to managing an abandoned property audit. From negotiating better terms for the audit to mitigating errors, and leveraging any applicable exemptions, exclusions, and deductions, we can help position your company for successful ongoing compliance. When you work with Keane, you get a partner that provides complete unclaimed property audit assistance from the initial conference and audit support to negotiations and further disclosure. We can provide an efficient and accurate estimate of your organization’s potential liability – while protecting the confidentiality of all applicable records. And, we pride ourselves in teaming with outside counsel, as necessary, to ensure that the records requested and provided to the auditors are relevant and that the scope of the audit is reasonable and fair. Our success at supporting clients in an escheatment audit situation is unique – and the results are remarkable.